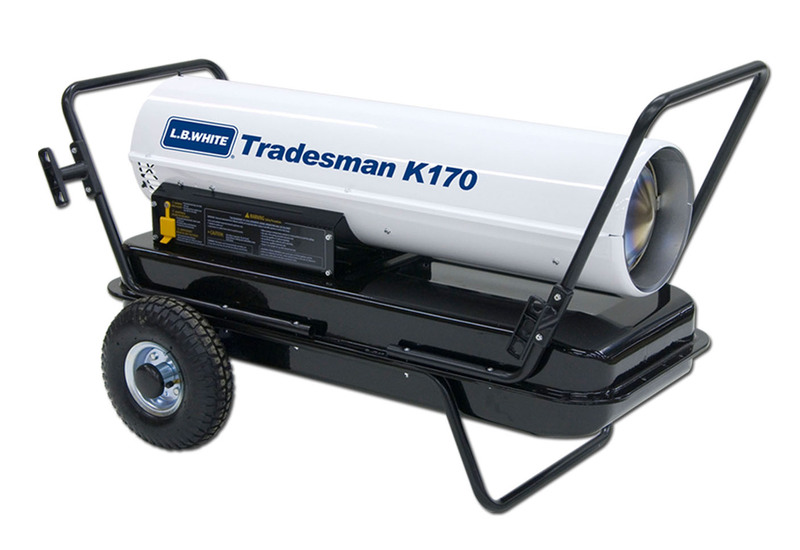 When using gas is not convenient, or a self-contained fuel source is desired, Tradesman kerosene heaters provide instant, efficient directional heat. A dependable dual-prong electronic spark ignition, heavy duty enclosed motor, and long lasting composite fuel fittings are just a few of the features that provide the long life and trouble free operation you expect from L.B. White. Dimensions (L x W x H) 43.5" x 23.9" x 26.6"